Do 2 semi-vegans make 1 vegan? One of the default figures by which the animal rights/vegan movement wants to measure its success, is the number of vegans. But is this the most important metric? I think there are other indicators telling us much more about how far we have advanced than the number of vegans. The latter remains very small, so much so that it is actually hard to measure without a significant margin of error. Reducers, on the other hand, show up big on the radar when we are polling the population, and they might be much more significant. But how do reducers compare to vegans in terms of impact? More specifically, I’d like to ask the following concrete question: are two semi-vegans just as good as one vegan? (I’m obviously talking in terms of their short or long term impact on sparing animals). In case you think there is no such thing as a semi vegan, or a 70% or whatever vegan, read this article. If we understand a 50%-vegan to be a person who chooses vegan alternatives only half of the time compared to a vegan, then it seems that two of these 50%-vegans would have the same impact as a vegan as far as their consumption goes. But there may be some additional, complicating, arguments to make. One thing to consider would be these people’s “value” in influencing others (see The fetish of being vegan for the argument that communication is potentially much more important than your own consumption). At first sight, the vegan might be much more motivated to go out and win hearts and minds – and she will almost certainly be more vocal about it. She might feel the holy fire burning inside her and become a very committed activist. 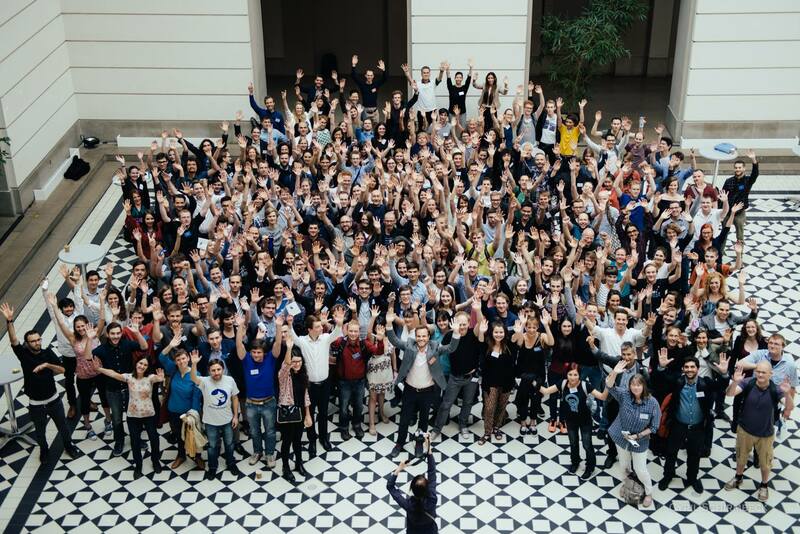 When we look at our movement, at the people making things happen, it seems that most of them are obviously vegans. But let’s think this over. The vegan may spend more time on outreach than the two semi-vegans, but will she necessarily be more successful? Maybe people get more inspired by reducers than by vegans, to start reducing themselves (of course, for those among us who don’t believe reducers are a good thing, this is not an argument). The mere fact of being vegan may have a deterring effect on others – as for many people it seems such a difficult thing – which being a reducer may not have. Another important idea to take into consideration may be what I call the spread-factor. The one vegan’s impact and efforts, both in terms of consumption and activism, will be more concentrated (as she is but one person) than the impact and efforts of the two semi-vegans (and certainly than five 20%-vegans). I’m not a mathematician and I haven’t thought this through in depth, but maybe the higher this spread-factor, the more people – (both consumers as well as suppliers) will get in contact with some kind of vegan demand. You could also wonder if the same volume of demand coming from multiple persons might not have a bigger effect than when coming from one person. Imagine you are a restaurant owner. Who would be most likely to influence you to change your menu: one vegan or two semi-vegans? You might think that the semi-vegans could eat everything in the restaurant, but they wouldn’t come there for their vegan meals, so you lose two customers. Two customers (or say the five 20%-vegans) might be more worth making an effort for than one vegan, who you might just ignore. This may seem like a bit of an academic and abstract discussion, but my purpose here, as often, is to make our movement see the value and importance of meat reducers, and to avoid focusing on vegans alone. As I have written in several posts on this blog, I believe many reducers will create a tipping point in society faster than a small percentage of vegans can (see What vegan can learn from glutenfree). It’s the many reducers that drive the demand, forcing suppliers to respond with more and more good vegan options, and thus making it easier for all of us to go full-time vegan. In addition, for those who are afraid these reducers don’t have the by-us-much-desired ethical motivation: their moral development may very well come after their behavior change. This is, of course, not to say that increasing the number of vegans is not necessary or important. I think vegans are much more prone to commit to serious activism, spend money on vegan causes, make vegan documentaries, open vegan restaurants, etc. But I suggest a two-pronged approach: increase both the number of vegans and the number of reducers. Do you have other arguments for why we might value one vegan more, less, or the same as two semi-vegans? Let me know. A couple of days after participating in the Sentience Conference, I attended a whole different animal: a conference for all kinds of people involved in the meat industry. 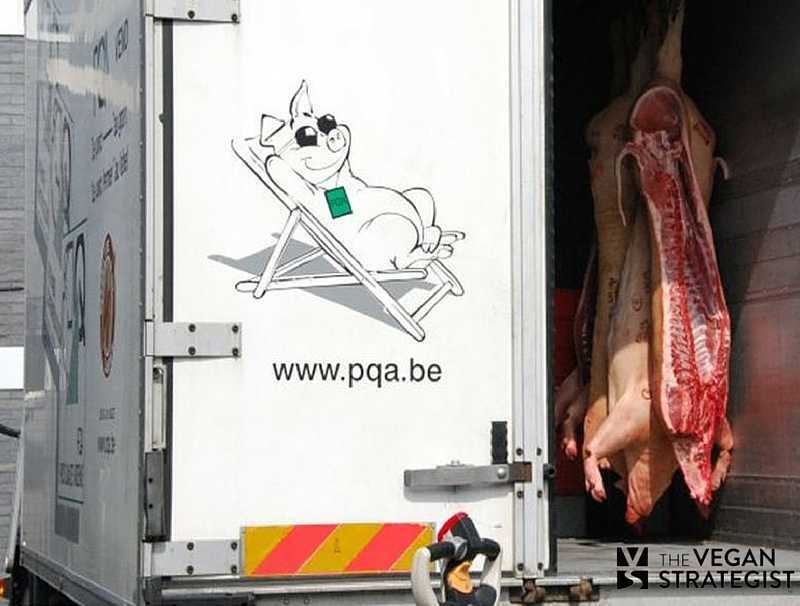 It took place in my town of Ghent, Belgium, and was attended by about a hundred people from different sectors (meat processing, distribution, inspection, marketing, etc). What had attracted me to this (yearly) conference was its title this year: “Is meat still of this time?” (after last year’s conference on cultured meat, which I was unable to attend). One talk was about the question of whether meat production has any future in Belgium. The speaker, former president of the powerful national farmer’s union, talked about the possible threats and challenges coming the meat sector’s way, from global warming and other environmental issues, to population growth, etc. Regarding the growing concerns for animal welfare and health, the speaker emphatically said that these would not go away and there was no use pretending they didn’t exist. He also added that he believed cultured meat would be a reality within ten years. Two roads were suggested (they are part of the general thinking about sustainability): there is the path of productivity, where we develop technologies that can meet the challenges. The other path is that of sufficiency: we redefine, through public education and government interference, what is sufficient. This means, for instance, making sure that people eat less meat. The speaker believed in a combination of the two approaches. The conclusion to the question whether meat production in Belgium makes any sense was yes (inevitable of course, at this conference). The idea is that in this country, we care more about the environment, animal welfare, antibiotics, food safety, health, etc., than in many other countries. So, the argument goes, any transfer of meat production from here to most other countries would mean a loss for all these factors. I think this “if we don’t do it someone else will do it even worse” is of course an entirely spurious argument. Another talk was about people’s conflicts and attitudes regarding the killing of animals. The speaker, a professor at the University of Brussels, showed how our society has evolved towards being more and more repulsed by killing animals. This is indicated by, e.g., how slaughtering animals has become more and more hidden, or how identifiable parts of animals (the head, tail, legs…) are usually being discarded and not put on the plate. The evolution can be described in four D’s: Deference – Dominion – Denial – Disgust. The speaker suggested some trends or solutions for the growing disgust for killing animals. An obvious one is to increase animal welfare. Another one is what he called “story meat”: all kinds of ways to tell a story about meat, from happy meat to crowd butchering, artisanal production, home slaughter, and ritualism. A third solution is the production of meat without animal suffering. In vitro meat is an obvious example of that (but probably not the preferred one as it would put a big part of this sector out of business). Another way to raise animals without pain, which few people I think have considered yet, is trying to make animals not sentient, like some sort of zombies (see for instance this article). And then finally, of course, there is the option of just avoiding meat (and animal products) altogether. The speaker said how vegetarianism and veganism, which basically are about defending the animals’ right to life, could – “in its extreme form” – result in problems with managing pests and ecosystems (hmm). I asked the speaker the question if maybe in the light of the growing unease with killing animals, cultured meat would seem like the ideal solution, and what he could imagine would stop that evolution. He talked about how meat eating is tied to identity and all sorts of things, and not just to the obvious aspects like taste, etc. The question seemed to be whether people would feel there was a match between this cultured meat and their identity (if I understood his response correctly). My thought was that, given the unease we are seeing regarding killing animals, the cognitive dissonance, the meat paradox… that at some level there is definitely a mismatch between people’s identity and being complicit in the killing and suffering of animals. All in all, it was once more definitely worthwhile to take a look at how “opponents” are thinking about their current challenges. Oh, and… I didn’t stay for the walking dinner, but during the introduction the speaker had announced that vegetarian alternatives would also be served. PS For readers in Belgium: this was a conference organized by BAMST (Belgian Association for Meat Science and Technology). The first speaker I mentioned was Piet Vanthemsche, the second was prof. Frédéric Leroy, VUB. 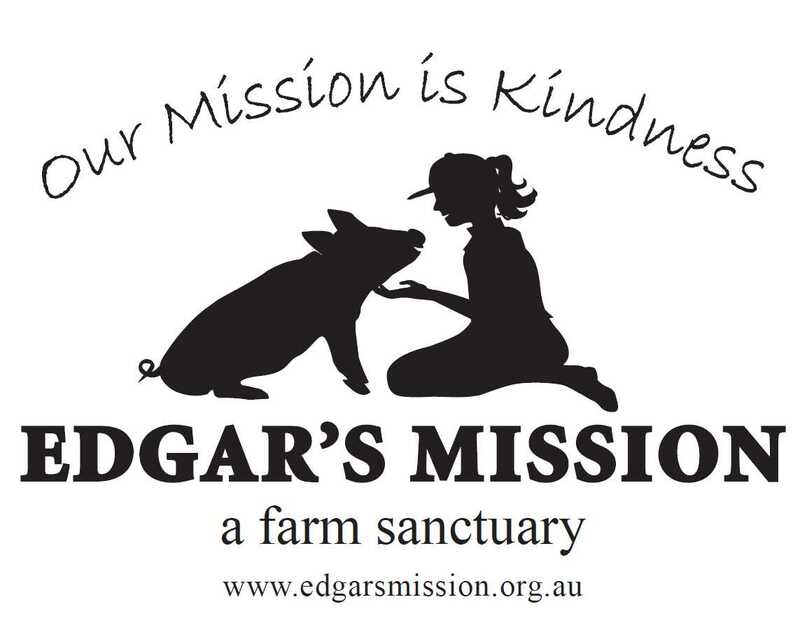 “Our mission is kindness” is the mission statement or baseline of the wonderful animal sanctuary Edgar’s Mission in Australia. Edgar’s Mission provides lifelong care and love to about 350 animals at this moment. You may have seen their wonderful videos in your Facebook stream here and there. I think “our mission is kindness” is a wonderful mission statement, and I think it could very well be the mission statement of the whole vegan movement. Veganism is not about a definition, it’s not about rules. It’s about kindness and compassion for all sentient beings (including, of course, humans). “Kindness is our mission” means that we’d like to achieve a kinder world, a world with more altruism, empathy, compassion. But this mission, of course, can also be a personal mission. Each and every one of us should be, I think, on a quest, looking to become a kind person themselves. Even though being vegan is something that most vegans do out of a sense of kindness and compassion, we are obviously not necessarily kind people just because we are vegan – or at least not all the time. We should have the humility to say that we don’t just need to implement kindness in the world, but also in our own hearts. That’s twice as true since we all massively started spouting our opinions on social media, where often we are not kind, neither to people on the other side of the fence (omnivores) or towards people who are already with us but have different opinions. If we want a kinder world, if kindness is our mission, we won’t get closer to it by being unkind ourselves. PS: Of course, kindness in itself will not necessarily give us the best results for animals. Even kindhearted people may do things that turn out to have bad results, or be ineffective, or whatever. Complementary to kindness is rational thinking. It’s when the heart and the mind meet, when we use our intellect and our rationality in combination with a caring, compassionate attitude, that we achieve the best results. What are vegans so afraid of? I thought my previous piece, Why being vegan is not an all or nothing thing, was a pretty straightforward, rational and compassionately written article. 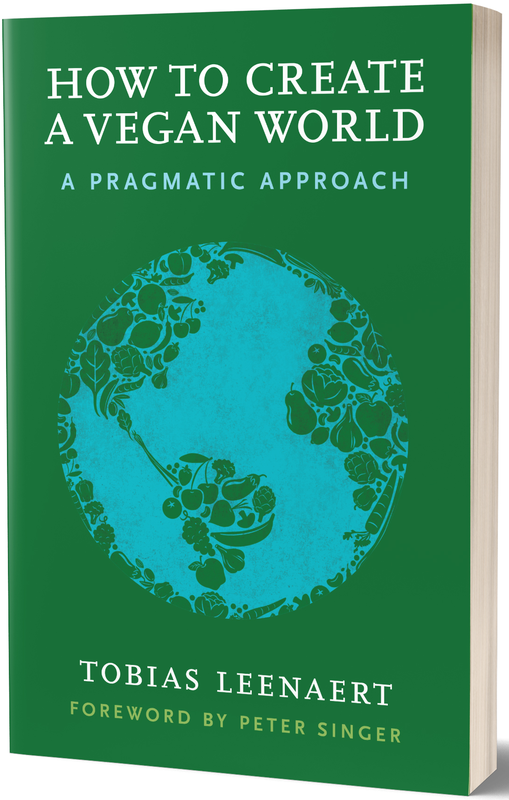 I wrote it from the same angle from which I write everything: to get as many people as possible to join us in the direction of a more compassionate world. Still (apart from the many positive comments and shares), the article managed to arouse a lot of anger in certain vegans – to an extent that was surprising and even shocking to me. I won’t bore you with the details, but let’s just say I’ve been called quite some names (some examples here, in case you don’t believe me). Apart from finding all of this quite sad, I also find it fascinating. How can people on the same side fight so much and so intensely? How can some people so easily find proof of betrayal in other people who share their cause? So I tried to put myself in these angry vegans’ shoes and tried to imagine what it could be that angered them so much in what I wrote. First of all, it seems some people misunderstand my intentions. Like I said, I always write with the purpose to help this movement be more effective at reaching its aim of “animal liberation” (or however you want to define the goal). I may fail at this, but at least this remains my intention. My first concern is definitely not to spare omnivores’ feelings, or to give people reasons or excuses to continue using animal products. Nor would I ever be happy with partial animal liberation or partial veganism (on the contrary: I want to go much further than most vegans want to go, and I’m also concerned, for instance, about the suffering of animals in the wild – suffering is suffering, whether inflicted by humans or not). Now, here are some of the fears that I notice in people’s reactions to my suggestion to be pragmatic and a bit flexible in our defining of the term vegan. 1. The fear that the concept of veganism will be watered down. Two answers to this. First of all, like I wrote, it is an illusion to think that a vegan lifestyle is a lifestyle that doesn’t inflict any suffering on human or non-human animals (that this argument is also used by meat eaters against vegans doesn’t make it any less true). Secondly, we have to help people take the first step, rather than the last. The last steps, the details, will be taken care of automatically, as a consequence of animal byproducts becoming more and more expensive and hard to come by. If we get to a 95% (or even a 75%) vegan society, then there is no reason we can not bridge the remaining gap. It is not productive to worry about the tiny bits now and make it all too difficult, because that may easily prevent people from moving at all. 2. The fear that people may get confused about what is vegan and what is not, or who is vegan and who isn’t. If a vegan makes an exception (e.g. eats a non-vegan cookie), they are making other people – so the argument goes – confused and these people will end up not knowing what veganism is. Or they will – God forbid – serve us something non-vegan! All I can say is that if this is what we worry about at this stage of the movement, when 65 billion land animals are killed for food yearly, then we have to re-check our priorities. We have to think a lot more strategically than this. 3. The fear that vegans will be seen as inconsistent if they ever do an unvegan thing. When I make e.g. my lasagne argument, saying that in order to make the idea of veganism more accessible I would make tiny exceptions here and there in special cases, some vegans think this will be interpreted as inconsistency (worst case: hypocrisy). Let me tell you: the concern for inconsistency is mainly in our own heads, not in the meat-eaters’. What other people see is something that is really really difficult. Showing that in, whatever special cases, exceptions can be made, would make us and veganism seem more attractive rather than less. Consistency is, in my humble opinion, often overrated. That doesn’t mean we should just do whatever. But 99% consistency will be perfectly fine. The question is whether fears like these are enough to explain the angry reactions to the post. I feel there’s something much more threatening going on for some vegans when the definition of vegan is being questioned. What I feel is going on is that on some level, some people experience that a very important part of their identity is being questioned. I’ll write about that some other time. What was also quite interesting to notice was how people, who kept repeating “you are either vegan or you’re not!”, referred to other domains, issues, identities, personas… that were supposedly also black or white. In every single case though, I could see a lot of gray. One person said a Christian or a Muslim is not like 95% Christian or Muslim. My thought was exactly the opposite: both in terms of their (mental) faith and their (outward) behavior, people have different degrees of being religious. The same for having racist thoughts or exhibiting racist behavior: we seem to all do it to some extent. The often mean reactions made me realize more than ever that being vegan is not an end point, and that as vegans we generally should not claim to be better than others. All of us can still grow in compassion. If we can’t open our minds to ideas that don’t coincide with our own, if we can’t even listen, read, talk or discuss compassionately, then there’s still a long way to go. And rest assured, I count myself among the ones who still have a lot to learn. Let’s keep an open mind and believe in each other’s good intentions. Being vegan is like being pregnant. you are it, or you are not. Makes sense, when you don’t think about it for too long. As soon as you do (think about it, that is), this stops making sense, in more ways than one. There are two issues with this kind of black and white interpretation of veganism. One is strategic, the other is conceptual. First, presenting being vegan as something that are or you aren’t, without anything in between, is not strategic. I have written about this before: don’t present being vegan as something binary, because that way we will exclude everyone who wants to join us for part or even most of the way. Technically it is correct to classify someone who is a 99.5% vegan (let’s say they eat a piece of non-vegan pie once a year at their grandmother’s) as a non-vegan. But obviously this person is much closer to being vegan than to not being vegan (or being an omnivore or a vegetarian). 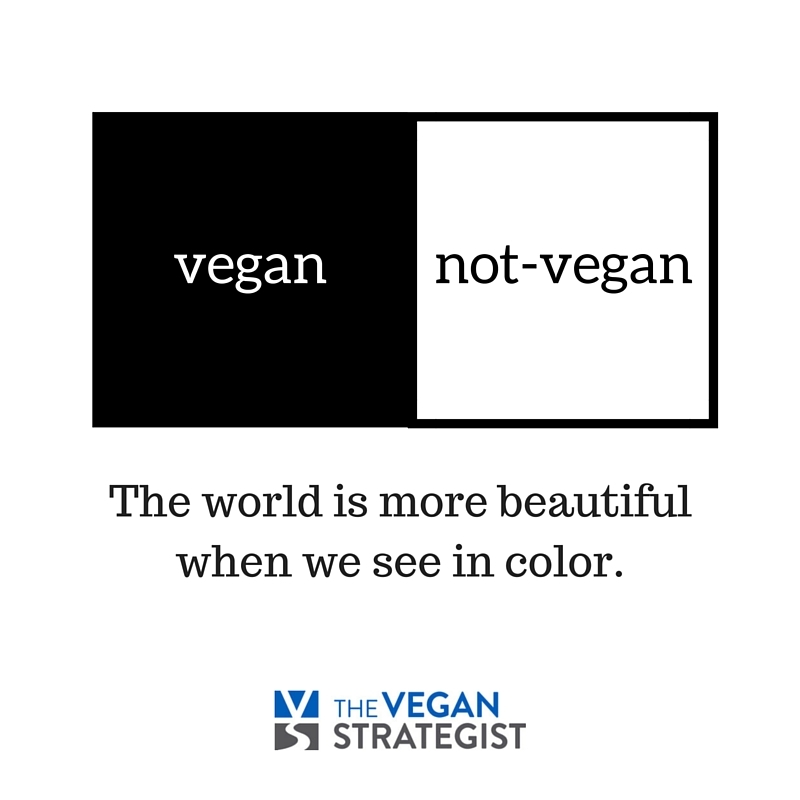 Secondly, there is a gray area, where it’s not clear whether the use or consumption of some products or ingredients actually excludes someone from being called a vegan. That’s right, what is vegan and what is not is not entirely clear cut, and it’s probably more of a scale than anything else. Donald Watson, founder of the Vegan Society in the UK defined veganism as a philosophy and way of living which seeks to exclude — as far as possible and practical — all forms of exploitation of, and cruelty to, animals for food, clothing or any other purpose. The “as far as is possible and practical” is an important qualification. It leaves some room for gray areas and subjectivity. Some vegans think that what is “possible and practical” is very clear. Avoiding that once-a-year piece of pie is definitely possible and practical: just tell Granny no, right? But what is possible and practical for one person may not always be so for another. And we shouldn’t try to determine for others what is possible and practical for them. If you disagree and believe that what you experience as possible and practical, should be so for everyone, then let’s imagine a person who studied and actively applies the 320 pages of the book Veganissimo. What if they tell you they find avoiding all those hundreds of pages of problematic ingredients quite practical and possible? So no, being vegan is not like being pregnant. 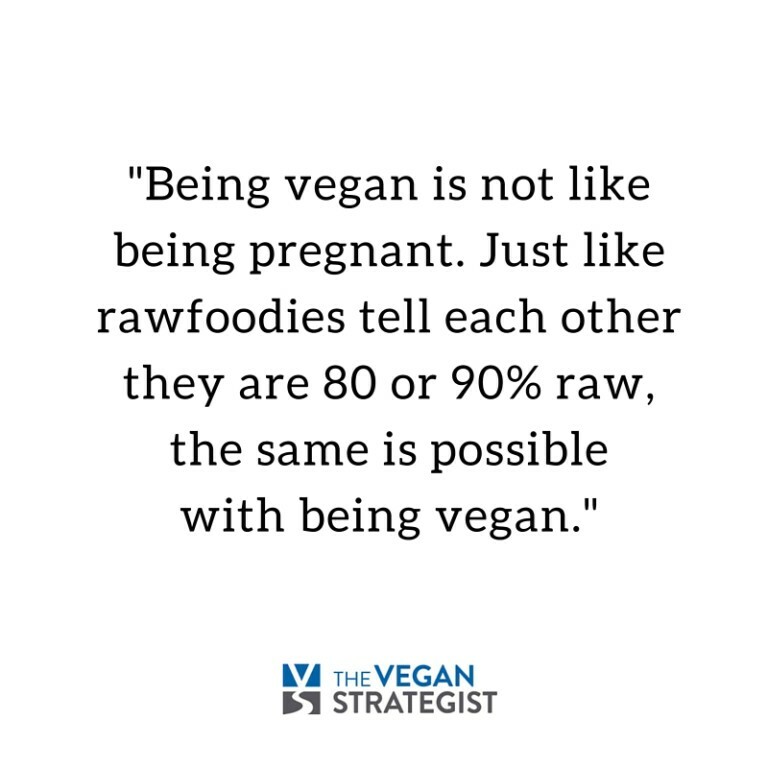 Just like the rawfoodies tell each other they are 70 or 80% raw, the same is possible with being vegan. Some will point out that veganism (unlike being raw) is about more than diet, which of course it is (though diet covers the biggest part of it). In the sense that veganism is not a diet but a philosophy, an ethos, a way of life, those people might object, it is an all or nothing thing. Either you respect the rights of animals, or you don’t, they may say. But is it like that, really? Look at our attitude and behavior towards people. Probably none of us, always and everywhere, perfectly respects the rights of all people. Most of us are only kind and compassionate some (hopefully most) of the time. We often slip and fall. Saying that being vegan or respecting the rights of animals in your consumption and behavior is a black and white thing is asking for a kind of perfection that is alien to us humans. We can only strive to be ever better. There is no there, there is no point of arrival. There is only all of us, moving in a certain direction, and hopefully taking as many other people with us along the way. See also my response to reactions on this article: What are vegans so afraid of? Suppose every vegan made one vegan in five years, and those new vegans did the same thing in five years, we’d have a vegan world in no time. Ever heard that argument? It’s one of those things that sounds good at first sight, but gets problematic once you spend some time thinking about it. Somtimes this argument is used to argue for the position that we don’t need any big animal rights organizations, or laws, or big companies… but that we can realize all the change that we want by just having vegans talk to other people about animal rights and moral obligations. But if it would be that simple, why don’t we have a vegan world yet? Some would answer this question by saying that, quite simply, it’s never been tried. They would tell us that we have never, consistently and as a movement, given omnivores the straight vegan truth and the go vegan message. In this sense, veganism, for some, is like communism: it’s never been tried hard enough. Of course that’s not true. Surely, for as long as there have been vegans, many or most of them (at least the “ethical vegans”) have been trying to convince other people to join team vegan. And at times they were probably successful. But still, no vegan world. Why not? Let’s dial the numbers a bit. Let’s start with an extremely low present number of vegans: one. Yes, one vegan. Imagine that there was just one vegan, but that this vegan would make one new vegan in one year, and that each of those would do the same in one year. The whole world – the whole WORLD! – would be vegan in… 38 years. With exponential functions, everything goes very fast. But that doesn’t mean much. 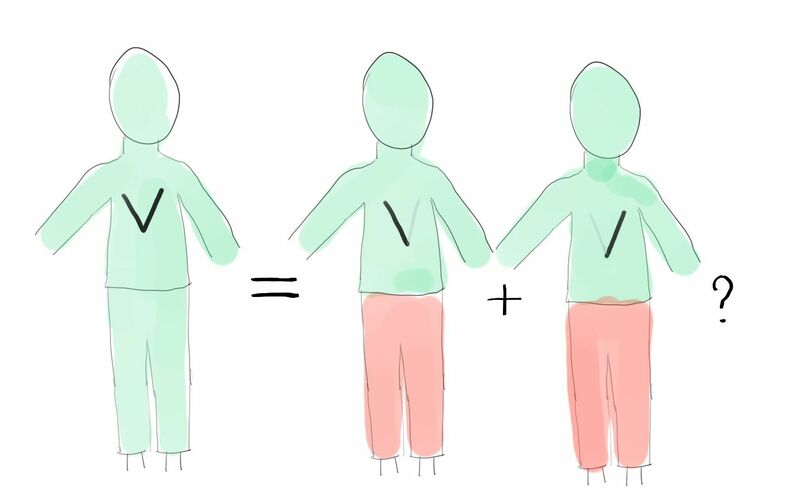 Multiplying ourselves is not as simple as it looks. If it were, there would have been many sects who would have conquered the entire world by now. But the fact is we haven’t been all convinced to become Jehovah’s witnesses or Scientologists. Maybe we think for veganism it’s different because our argument makes more sense, and potentially more people would buy it than they would buy some dogmatic religious idea? Maybe, some day. For now it didn’t work yet. For now there’s many more people buying weird religious ideas, for instance, than our rational vegan ideas. One problem of course, is that not all of us are expert communicators and that the way we talk about veganism is not always attractive (in the worst case we turn more people off than we attract). Another point is that vegans seem to fall off the wagon almost faster than we can “make” them. For every vegan there’s three or four times as many ex-vegans. One step forward, two (or three, or four) steps back, it seems? The point I mostly want to make here though, is that a one-on-one approach, based on moral arguments, is never going to cut it. It’s not that we haven’t been trying it. It’s that it’s not enough, and not even the most important thing we can do. So the “imagine if every vegan makes one more vegan…” argument is not an argument that would justify only focusing on one-to-one outreach and grassroots activism, as some would have it. We need much more than that. We need lobbying and product development. We need laws. We need supermarkets and restaurant chains to work with us. 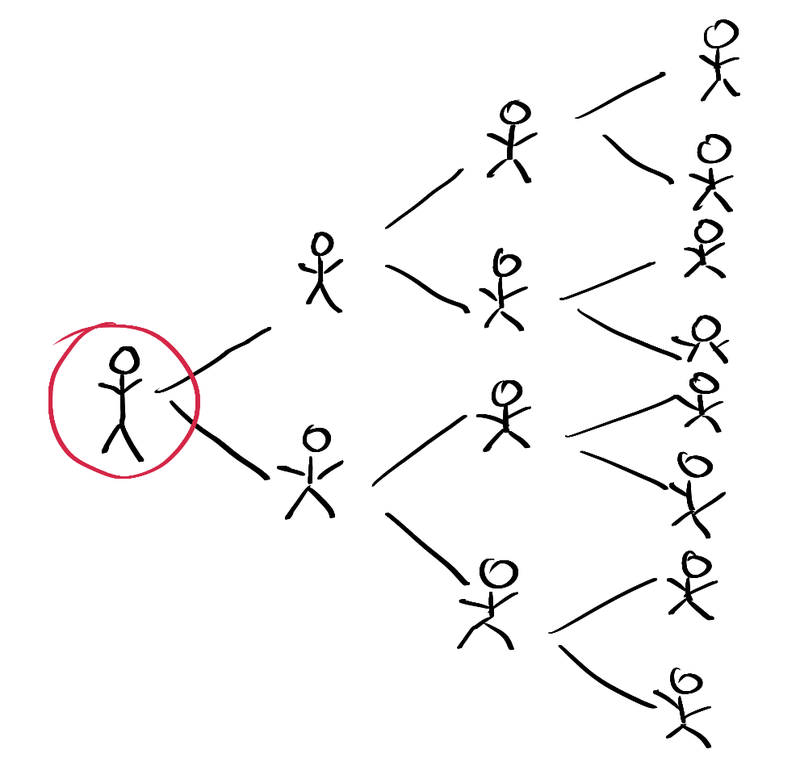 We need the power of big groups. We need to fundraise a lot of money. We need to be present in the education system. We need influencers in all domains of society, from celebrities to business leaders to politicians, who can help many more people change their behavior and their minds. And above all, we need to think about strategy and psychology, so that our one on one advocacy can be effective.